Happy and Healthy Holiday Season. Montauk is a 12 month a year vacation and residential lifestyle. Montauk is Peace & Love all year long. 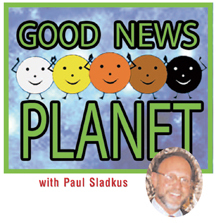 For 20 years we have been sharing Good News of the world, on our www.goodnewsplanet.TV with a mission of HOPE, that total Peace Will Prevail on Earth and by sharing those living in peace we gain hope. The Holiday Season is all about HOPE. A Thought For The Day: “We do not see things as they are. We see things as we are.” Anais Nin Submitted by Reverend Keith Fiveson. 2019 will be a big year for our company for strengthening the message of World Peace, please join us an participate or make a tax deductible donation for our www.peacedayparty.org. We have booked Times Square and Central Park for Peace Day Events on September 21 and our movie/TV Series : Woodstock Forever: Peace, Love & HOPE will be released in 2019 for the 50th Anniversary of Woodstock. Within our movie there is vintage footage from when our company created a 20th Anniversary event in Times Square in 1989, along with contemporary complimentary content, to see the concept go to www.woodstockforever.com. A New Year’s Thought. Enjoy each and every moment wherever and whenever you can. Life is a gift, share it and live it in the PRESENT! In the NOW, spelled backwards is WON so win as often as possible and laugh as much as you can, as we are flying around in outer space! Also, if you need a wonderful present that shares our planet with an plush pillow, go to our friend Robert Forenza at: www.huggaplanet.com , talk to him if you have a big order. Lastly, I would like to share a Prayer for Peace from St. Francis, a prayer that I like to share for those who have lost family and friends over the year, with the desire that it shares Strength & HOPE.